Benchmarked vendors’ average revenue and gross profit slipped year-to-year as demand for legacy hardware implementations declined, signally an industry shift to software-based solutions. However, Technology Business Research reports that benchmarked vendors still achieved $US23 billion in revenue and avoided more severe declines by adjusting go-to-market portfolios and selling models to capture emerging opportunities. 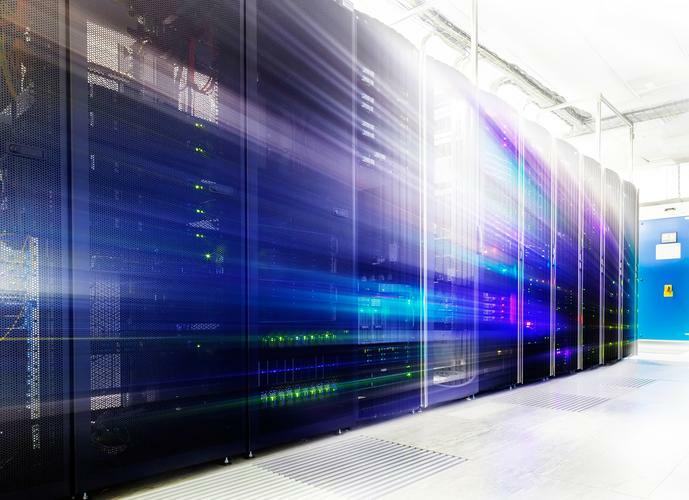 “Industry-standard server (ISS) has a growing impact on the global data centre hardware market, composing an increasing share of the data centre market and retaining the largest share of total revenue,” says Krista Macomber, Senior Analyst, TBR. Macomber says commoditisation of high-end storage hardware and competitive pricing across the storage market drove down benchmarked vendors’ proprietary server and storage revenues 0.4 percent and 7.7 percent year-to-year, respectively. “These areas’ declines stem from the challenged value proposition of traditional storage hardware as customers increasingly migrate less-critical workloads to public cloud solutions, creating a shift in sales opportunities to ISS and networking segments,” Macomber adds. 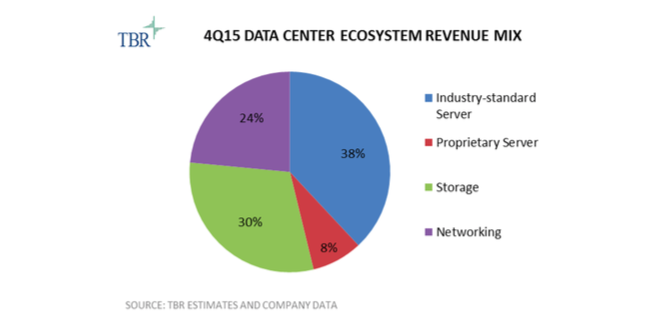 To offset declines in these areas, TBR believes vendors will increase investments in emerging areas such as flash, object storage and hyper-converged. However, as the number of customers transitioning to public cloud solutions is growing rapidly, the value proposition of storage solutions will shift from hardware to software. Networking hardware revenue continued to record the highest growth of benchmarked segments in 4Q15, with market leaders Dell, Hewlett Packard Enterprise (HPE), Huawei and Juniper achieving year-to-year revenue growth in this segment. “As the networking hardware market has not been as heavily impacted by commoditisation as the server and storage markets, the proliferation of software-defined networking (SDN) will have an increasing impact on vendors’ growth strategies,” adds Kathleen Kilbourn, Research Analyst, TBR.